Install Electrical (Wells) Ltd | Providing local electrical services in and surrounding areas. At Install Electrical (Wells) Ltd a service is provided from design to certification. Using the experience of over 25 years as NICEIC approved contractors we feel that our level of service, is one that, is hard to beat. No job is too big or small for us to carry out, and you, as our potential client should feel confident that our service will meet the highest of expectations. With our vast experience Install Electrical (Wells) Ltd offer all forms of testing, domestic, commercial, industrial and PAT. All of our testing is computer based so ours is a service of accuracy, and of a very high professional standard. If you are a Landlord, home owner or the person of accountability at your place of work then contact us to discuss your requirements. At Install Electrical (Wells) Ltd we pride ourselves on an efficient and friendly service, and strive to achieve 100% customer satisfaction. If you are looking for electrical services in your area, then Install Electrical (Wells) Ltd are here to help! 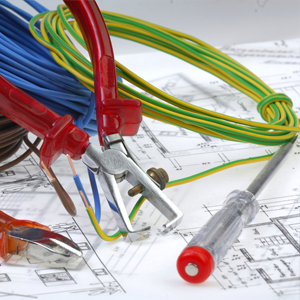 "I have always received good service from Install Electrical (Wells) Ltd. Timing and quality have always met my expectations and everything is communicated in a professional and timely manner."